Free Shipping, Free Returns! 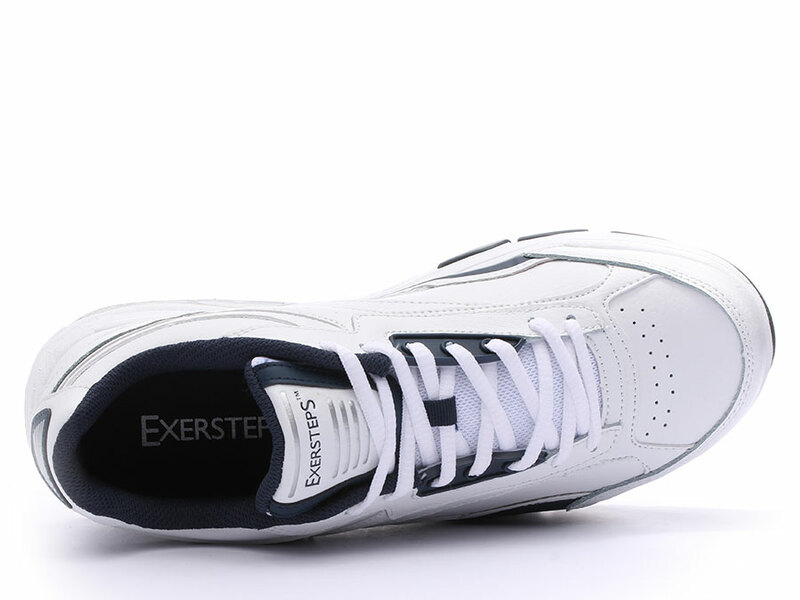 Experience the comfort of the men's Whirlwind rocker bottom shoe by Exersteps. Relieve impact on hard surfaces. Leather upper provides comfort during activity. 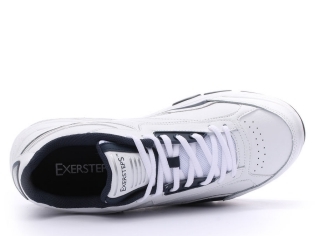 Improve your health with ExerSteps footwear! Comments: I use Exersteps for power walking 65 miles per week. Only shoe I've found that hold my feet in the correct position and keep my feet from getting blisters. Comments: I wore sketchers almost from the beginning until they quit making them. I was happy to find a shoe with the reverse soul and the quality seems just fine and they're actually a little cheaper. Comments: The high arch support is perfect for me. All day moving and my feet do not hurt. Comments: Very nice shoes for the money. I walk on concrete at work, about 3-5 miles per shift, and these shoes have really helped me make it through the shift. I am on my 3rd pair and would definitely buy again. Comments: My arches have fallen. Your shoes give me relief. Would love to see you come out with dress shoe versions. Comments: I love these shoes. Not only do they wear great,but they make you you a little taller. Comments: Great shoes, they're just as good as similar others selling for 3-4 times as much, I would buy them again. "Not Shape-ups BUT close enough!" 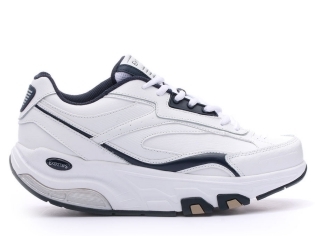 Comments: Ordered ExerSteps as my husband is a UPS driver and has been wearing Skechers for years and wanted to try the Exersteps since the shape-ups are not been manufactured. The soles of the shoes were a bit stiffer at first but broke in quickly. Air vents in the shoes would prevent sweating and odor problems. No leg or feet pain present. Would consider buying again till Skechers starts making shape-ups again. Great value for the money. 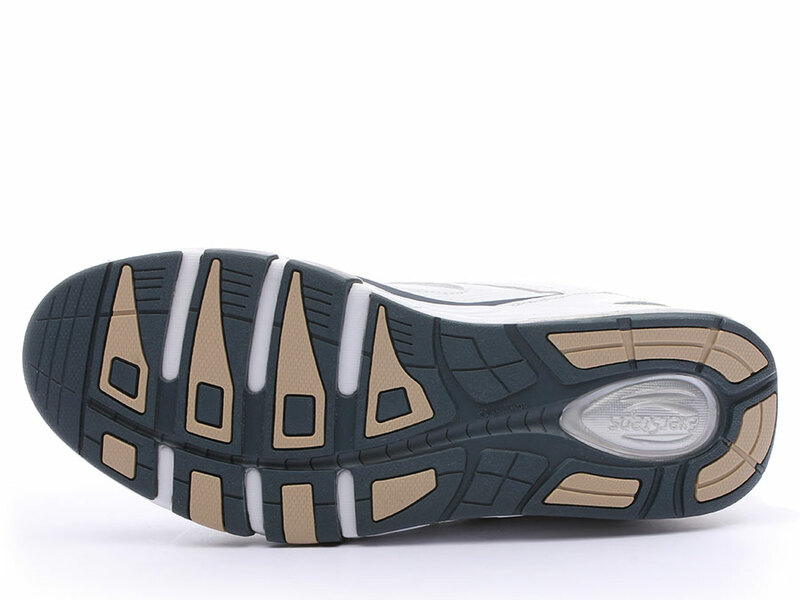 "Nothing Out There Any Better"
Comments: ExerStep rocker sole shoe very comfortable and provides good support. Comments: Exersteps are great for me. They are not for everyone. I have a high arch in my feet and like the way it supports me. Recently I was having leg and back pain when walking and was able to solve the problem by properly supporting myself with these shoes. Comments: I used at least 4 pairs over two years period. I wear my shoes every day walking at least four miles. I have flat feet and wiit was hard to me walk for long distances. However, these shoes have helped me to achieve my goals of walking gong distance for hours without feeling any pain. I LOVE THEM , AND I HIGHLY RECOMMENDED. Comments: Exersteps provides the most comfortable shoe with great support. Each time my husband tries another shoe, he always comes back with “We should have ordered Exersteps”. I love the women's shoes also and just wish they would bring back half sizes. Comments: I have a fused ankle. these shoes allow me to walk with out pain. great rocker bottom shoes. I would be in a bad spot without them. Thanks a lot for your life saving product. Comments: Have planter fashaitus and these shoes work great for me to work in all day,still put a pad insole but works. Comments: Very comfortable shoes for just about anything. Walking in them seems to promote better posture for me. For those that have not worn rounded soles before it make take a little time to get used to them. But I'm sold and will continue to purchase such a product when the time arises.